The cyber attacker had emulated the tone and feel of the client’s emails, then sent an invoice from their email address. Pillow May’s team paid the invoice on behalf of the client, only to find out that it was fraudulent. Bookkeepers, accountants and small business-owners are particularly at risk of cyber attacks. As larger companies upgrade to stronger security systems to protect their team, small businesses are the next target. According to Symantec, 43% of attacks are targeted at small businesses. Yet, there are steps you can take to defend yourself, and your clients. Here’s how Jessica turned a crisis into an invaluable lesson for her team, one that strengthened her client relationships and advisory services. With cyber attacks on the rise, with 88% of UK organisations reporting a data breach in 2018, it’s crucial to establish processes. “Create processes that help prevent future fraud, yet not work or productivity,” recommends Jessica. Off the back of the cyber attack, she devised the Bookkeeping Scope Agreement for her team and clients. The document also includes safety checks to protect against fraudulence. The agreement also poses a great opportunity to talk to your clients about their business in-depth. “We now talk about cyber-security in every meeting. If your client trusts their financial controller or bookkeeper completely, ask them, ‘Would they want to put them in the position of potentially paying for a fraudulent invoice? Even if they trust them completely, it’s an enormous amount of responsibility. By rolling out fairly simple measures such as dual authorisation, you can help relieve this and better protect your team." 3. Make sure you’re using technology to its full potential. Often, the best answer to a digital problem is a digital solution. Sometimes, it takes reviewing your current approach to technology and evaluating how it can better serve you. Previously, Jessica Pillow needed to use client password credentials to log into supplier accounts and download invoices. 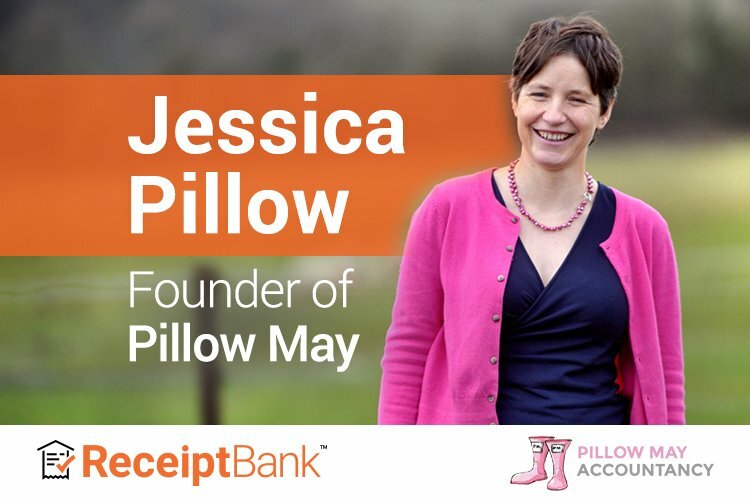 Now, Pillow May uses the Invoice Fetch tool within Receipt Bank to fetch monthly invoices automatically. This reduces the amount of time chasing documents while removing the security risk. Ultimately, Jessica and her team turned what could have been a disaster into a learning curve, improving her internal team structure and client relationships. To hear more about scaling your bookkeeping practice from someone who doubled their client service capacity, sign up to Jessica’s upcoming webinar .